So you’ve decided to revamp your Real Estate Brand or want to launch an Ad Campaign to Communicate your Brand’ s Identity and Benefits to your market. 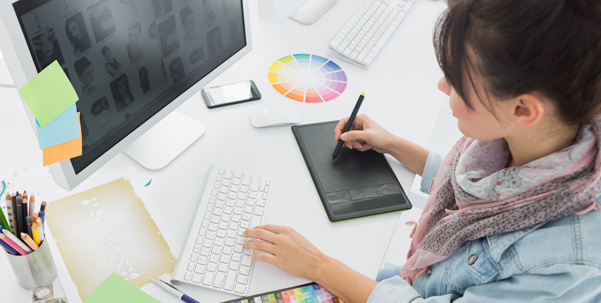 Here are some tips in choosing and working with a Graphic Designer. This is the most important step in achieving effective results for your Real Estate Brand. There are a lot of design cowboys out there… Choose carefully! Take the time to research your potential choice. Be it an Agency or Freelance Designer, spend time looking at their Portfolio and list of Clients. Interview them, ask probing questions. As in most things, remember you get what you pay for! When it comes to Design Services you will never be comparing apples for apples. Choose a Designer with Experience in Real Estate Visual Communication and Design. Just because someone has done great work in another Industry does not mean that they understand your Market and therefore the end result might not be as effective. Once you have chosen the right Designer it is up to you to brief them correctly. Most designers cringe at the words “just make it pop!” Be specific in what you want to achieve and supply as much information about your Real Estate business as possible. Bear in mind that you have commissioned the designer or agency because you do not have the expertise to achieve the visual results that you require. Trust that if they’ve been briefed correctly and you have chosen the right person for the job, they will come up with creative concepts that will achieve the best results. Do not try and take design control! This is a huge pitfall. It is important that you like the end result but keep in mind that your personal taste might not be the best direction for your Real Estate Brand. Remember your designer is not mass producing a product. Ensure that you communicate deadlines in advance, but give the designer enough time to research your Real Estate Brand, your Competitors, your Market and then allow them time to let the Creative Process happen. Rushing a design never achieves the best results! Your Graphic Designer needs enough time to brainstorm and work on the design. Many times they will need to discard a design and start over in order to achieve the best Visual Results, so allow them the time to go through this process. Once you have approved the final result, ensure that you are supplied with all the correct colour swatches and elements needed to properly reproduce it. Your designer should liaise with printers and publications to ensure that once printed or published on the web the correct and best Visual Results are achieved. The devil is in the details, so scrutinise the final Design prior to signing off on it!